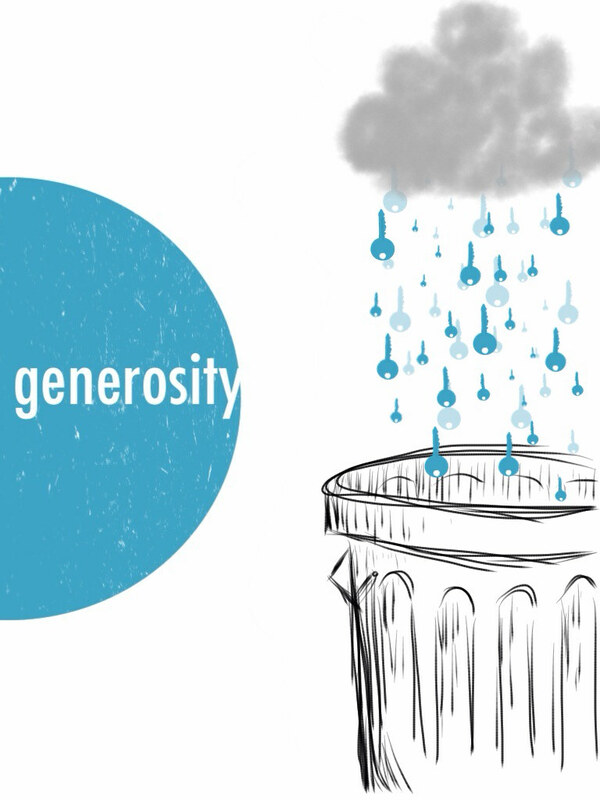 Generosity makes us flip to giving every time, but generosity is more about a lifestyle than a budget plan. If we are truly living generously that means that we have taken the locks off of our time, things, passions, dreams, gifts, homes, lives, etc and made them open for people; especially people in need. Generous lives tell those around them that they don't need the right key to have access, they just need to accept. 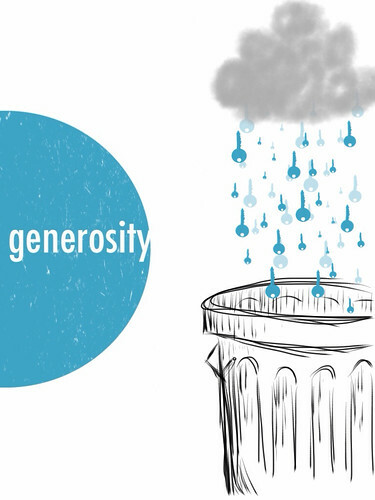 Generosity is the throwing away of your keys that once limited access and allowing others to throw away the keys they thought they needed to gain it. It is openness. Generosity and fighting injustice must go hand in hand. Our generosity is the key to freedom and justice for others.